The winner of this contest is…ButtonsMom! I’m back from Nashville! I had a great time at A Weekend with the Authors! As always happens when I travel, the first day there, I started sniffling. Yes, I came home with the “conference crud”. However, it didn’t dim my joy at being able to hang with readers and other authors. Here’s me, waving at my friends and missing those brave souls who dressed as Wonder Woman! The next installment in the Triplehorn trilogy has arrived! 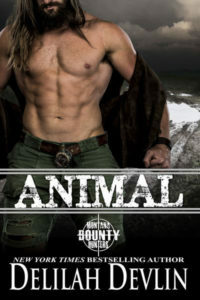 If you love stories about brothers, who also happen to be cowboys, this series is for you! All three brothers reunite with women from their pasts—the ones that got away. The last book’s release isn’t very far away! Gabe Triplehorn can think of no better getaway from his heavy responsibilities at the ranch than to go back to a time and place where he didn’t have a care in the world. When there was just a campground, a river, and a girl. When he gets to Red Hawk Landing, the campground and the river are still there. He just never expected the girl would still be there, too. Only now she runs the place. Lena Twohig can think of no better place to raise her young son than the family-owned campground that holds so many memories. Especially, the romance with Gabe that lit up one long-ago summer like a wild electrical storm. Now he’s back with a ranch-hardened body she knows she shouldn’t want so badly. No amount of lies, or the years that have passed, can tame this tidal wave of passion. Sarah Colby’s marriage was over long ago, but she’s never shed the scars her abusive husband left behind. One shameful indiscretion, an affair with a younger man one long-ago summer haunts her. Tommy Triplehorn is happy his brothers have settled down and started families of their own, but he’s feeling a little smothered by all that domesticity. Carousing and drinking no longer provide him any thrills, and he thinks he knows the reason why. He’s waited long enough for Sarah Colby to get over being ashamed of their past. He’s old enough to know what he wants, and he wants her. A teller implicated in a bank robbery seeks sanctuary from small-town sweetheart she left behind—who happens to be the new sheriff in town. A lifetime ago, Zuri Prescott kicked the dirt off her boots and fled her small-time, small town, but lived to regret choosing a glam city life over her high school sweetheart. 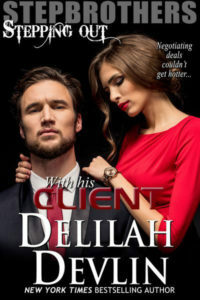 When she’s framed for a bank robbery, she flees to her home town, seeking refuge with her old flame while she figures out her next steps—only to discover he’s the last man she can confide in. or “Dr. Quinn” set in Montana?